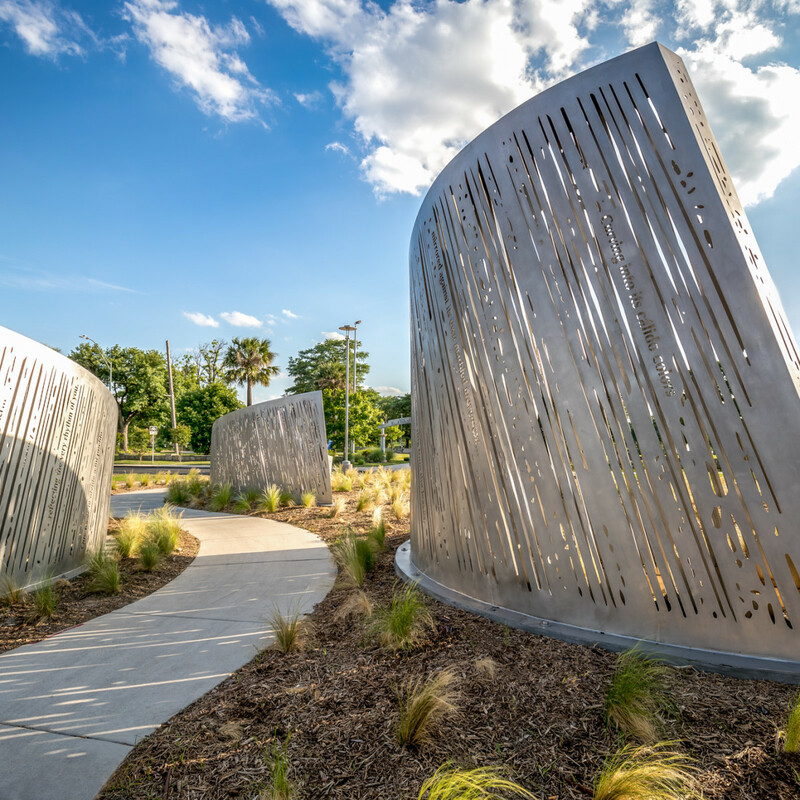 San Antonio's newest public artwork is rippling through Elmendorf Lake Park. 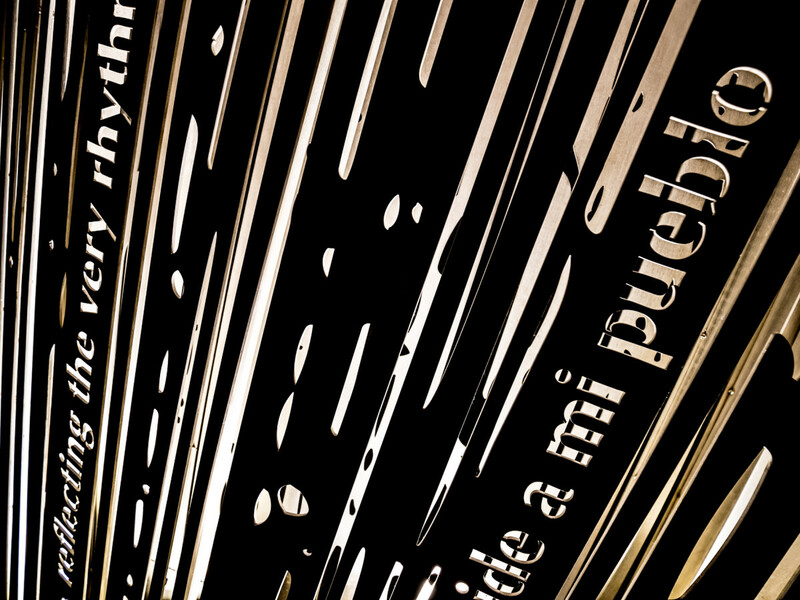 Inspired by the nearby lake, Aguas Onduladas is a unique collaboration between artists and poets, transforming the written word into a unique interactive experience. 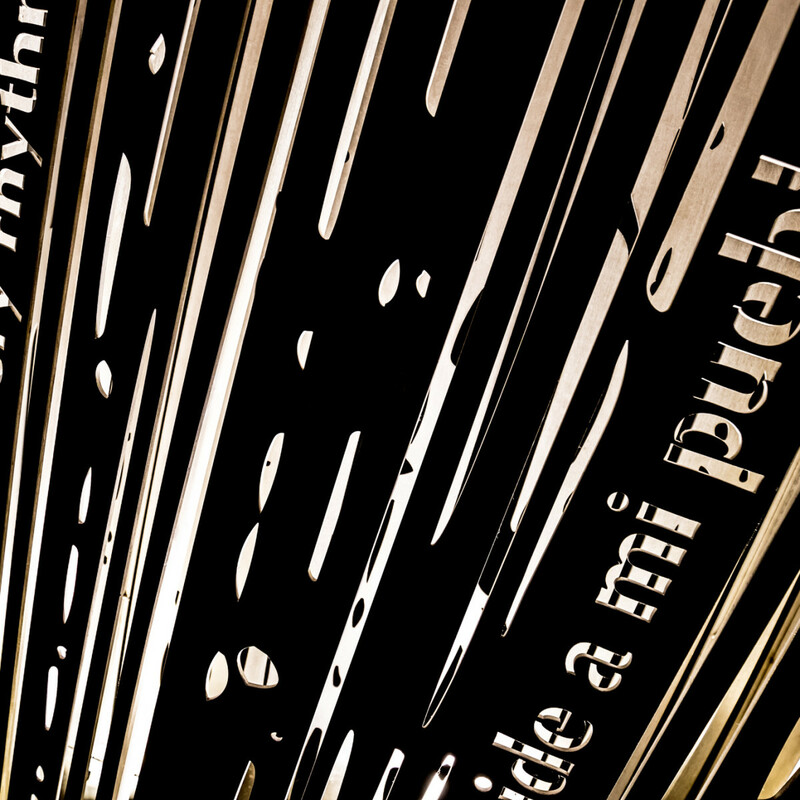 Aguas Onduladas was commissioned by the City of San Antonio and is a collaboration between the Iowa-based RDG Dahlquist Art Studio and San Antonio's inaugural Poet Laureate (and former Texas State Poet Laureate), Carmen Tafolla. 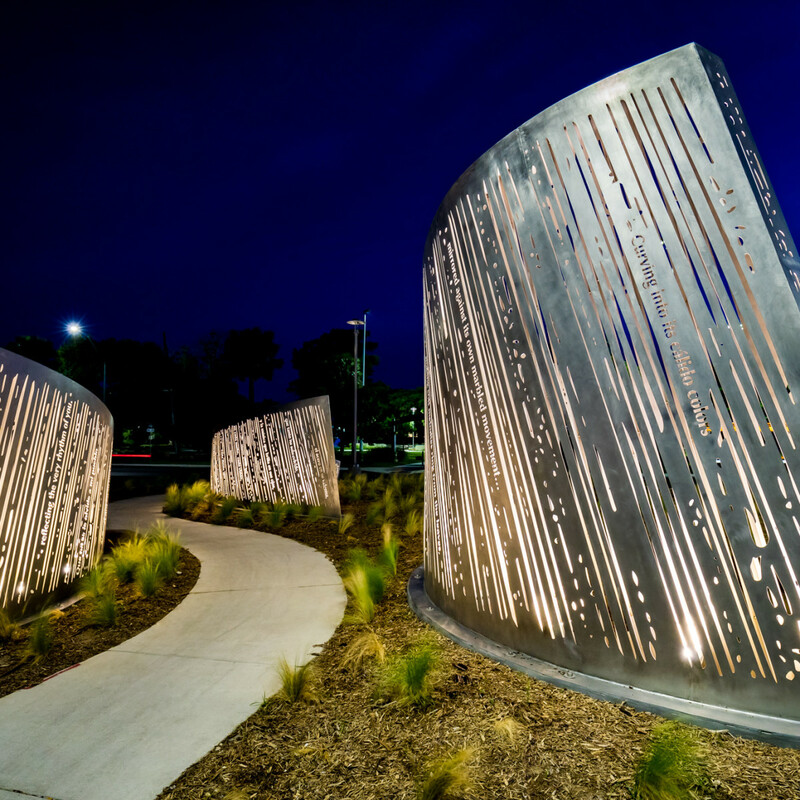 Comprised of stainless steel "waves," the piece is meant to evoke the feeling of looking into water and seeing a reflection in return. 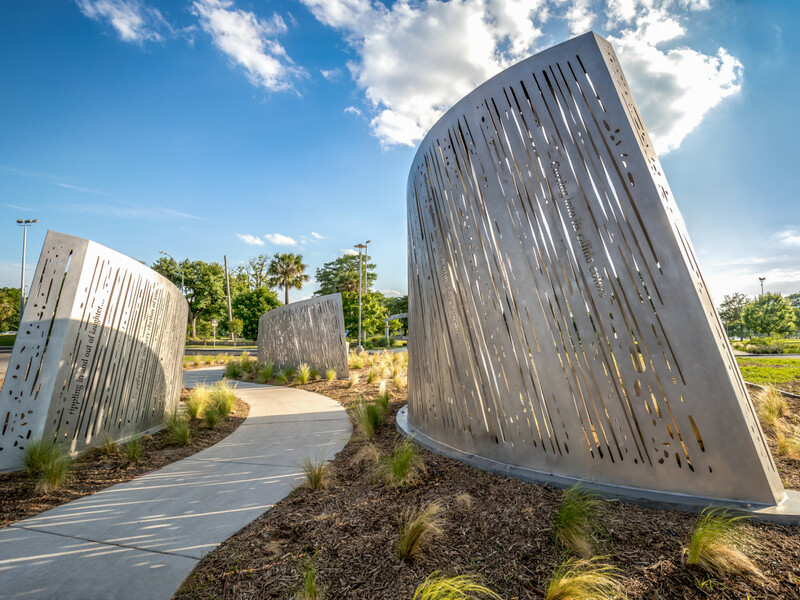 Written on the waves, which range from 3-12 feet in size, are lines from Tafolla's poems "Cada Sueño" and "River Music," which passersby are invited to read and reflect upon. 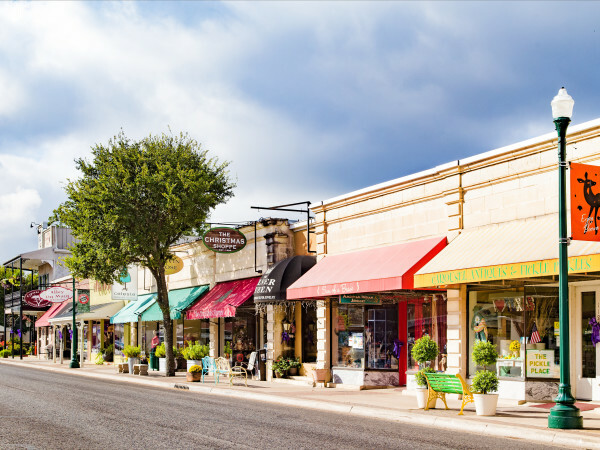 At night, the interior of the sculpture is illuminated with amber light, which, according to the city, "references ... the warm glow of front porch lights found throughout San Antonio’s Westside neighborhoods." It also serves as an illuminated landmark for the neighborhood. 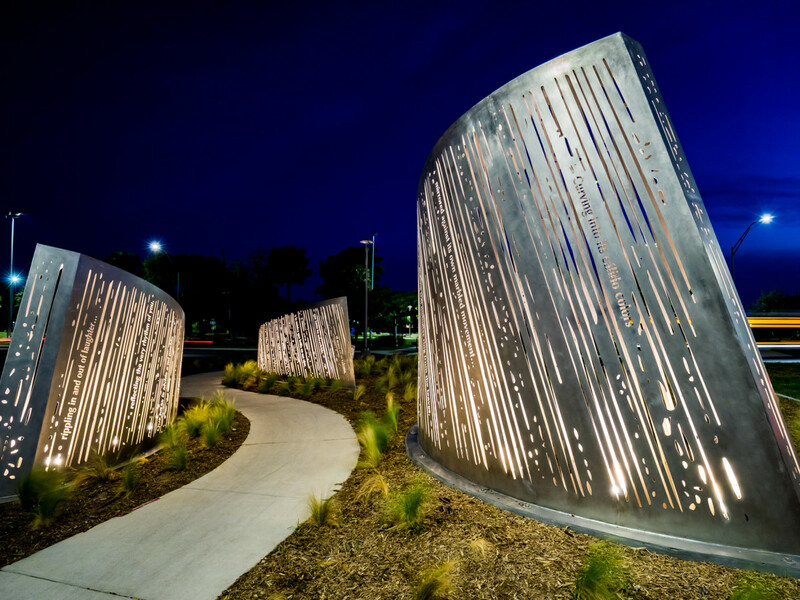 "The richness of this public artwork is how it truly does what public art is intended to do — it represents the people and identity of the space it is in," said District 5 Councilwoman Shirley Gonzales in a release. 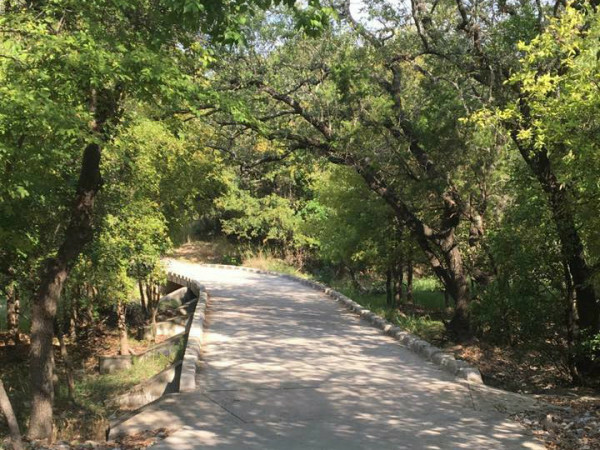 "Incorporating elements that honor the natural surroundings and the cultural richness of the community makes this art installation one that all San Antonio residents and visitors should experience because it tells a unique story," the councilwoman continued. Aguas Onduladas is now open to the public, following a dedication ceremony on June 28, during which Tafolla read the poems on the sculpture.